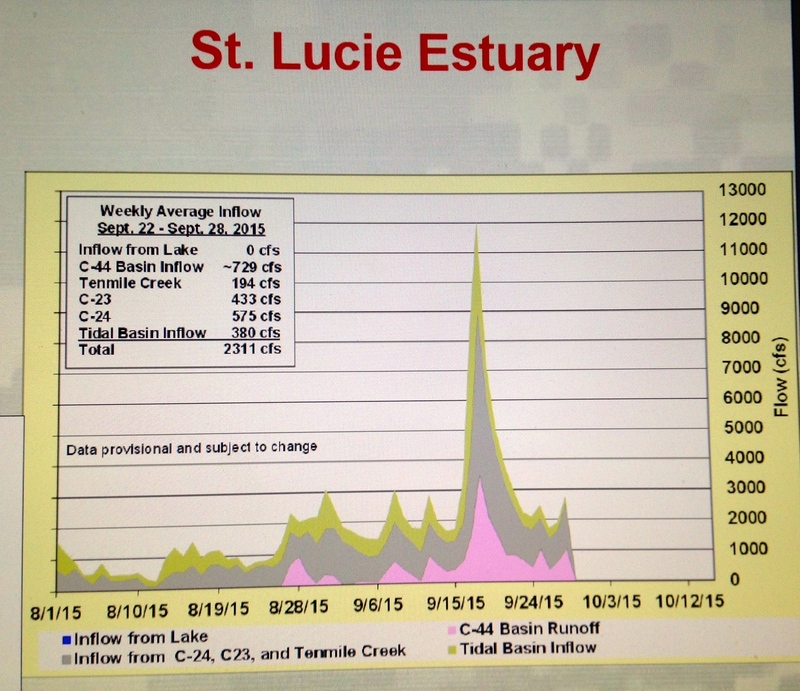 St Lucie Inlet, plume exiting SLR at Crossroads of SLR/IRL. 10-3-15. Photo Dr Scott Kuhns. I am supposed to be on a blog break, but I did not want to miss the chance for Dr Scott Kuhns’ photos to be documented. Dr Kuhns has a much better camera than Ed or myself who use our iPhones. These photos were taken on Saturday, October 3, around 11:00am, 2015, with a Nikon D750. So far this year, the St Lucie River/Indian River Lagoon has avoided the releases from Lake Okeechobee, and we were fortune that Hurricane Joaquin did not hit Florida which certainly would have filled up that lake. 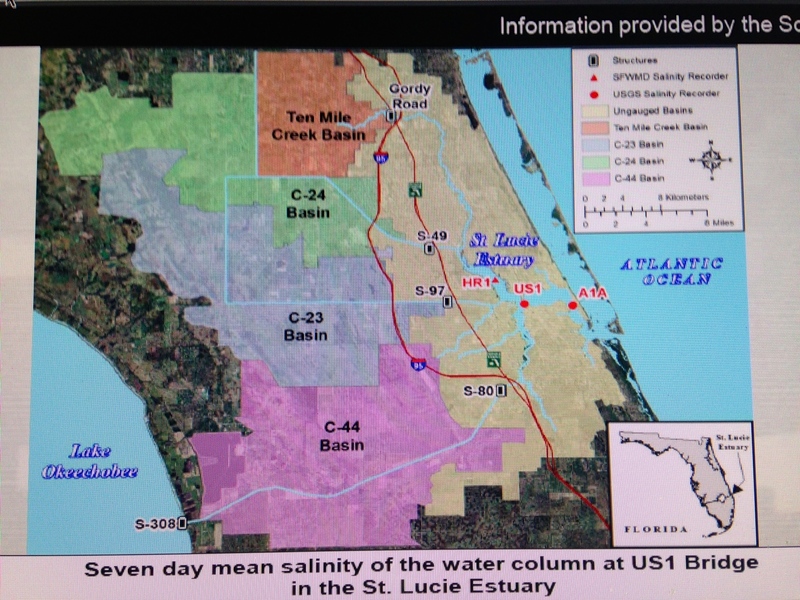 Nevertheless, we have been getting the discharges from regional canals C-23, C-24, C-44 and C-25 up in Ft Pierce. 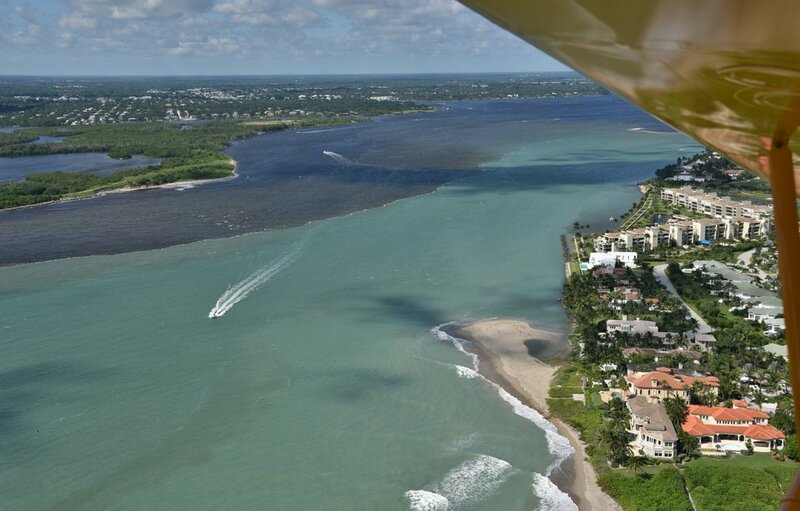 While this fresh water is running off Martin, St Lucie, Okeechobee, and Indian River County, and being dumped to tide through our ailing rivers, Lake Okeechobee is filling up from the Kissimmee and other tributaries. 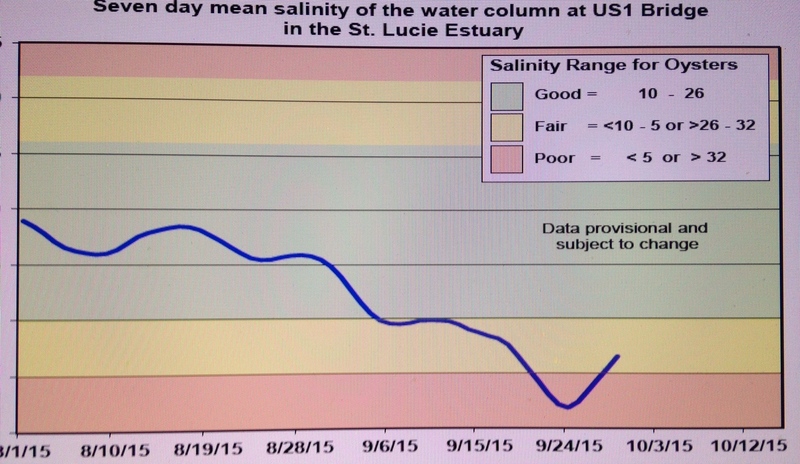 SFWMD salinity chart SLR Roosevelt Bridge.10-29-15. Thie big picture… image courtesy of the EF. Lake Okeechobee’s level today is at 14.77 NGVD. (http://w3.saj.usace.army.mil/h2o/currentLL.shtml) Hurricane Season officially ends November 30th….When the lake gets over approximately 15.5 feet there is a high chance its waters will be directed through C-44’s S-308 and S-80 to the St Lucie River/IRL by the SFWMD and the ACOE. Presently according to NOAA, there is an El Nino (complicated, but basically a wet “winter” predicted/fewer hurricanes in summer) so this 2016 winter and Florida-spring, during what is normally the “dry season,” it may be rainy. 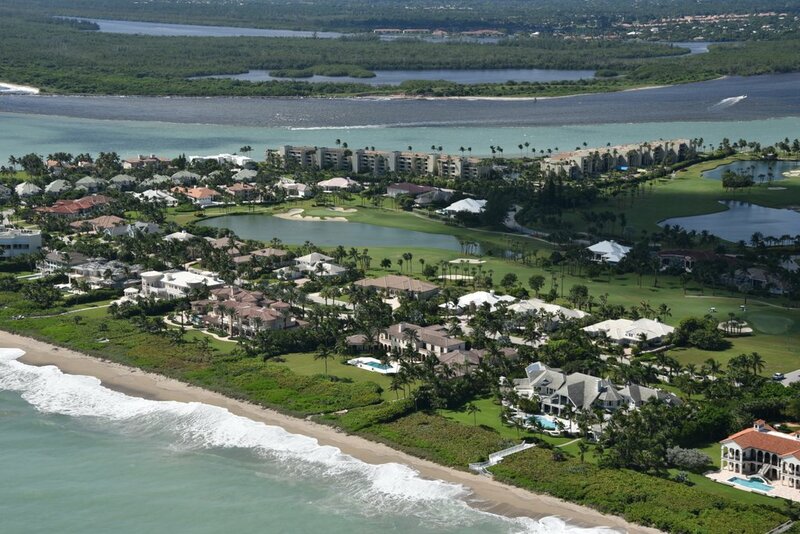 We must keep an eye on Lake O’s level every day, all year-long. 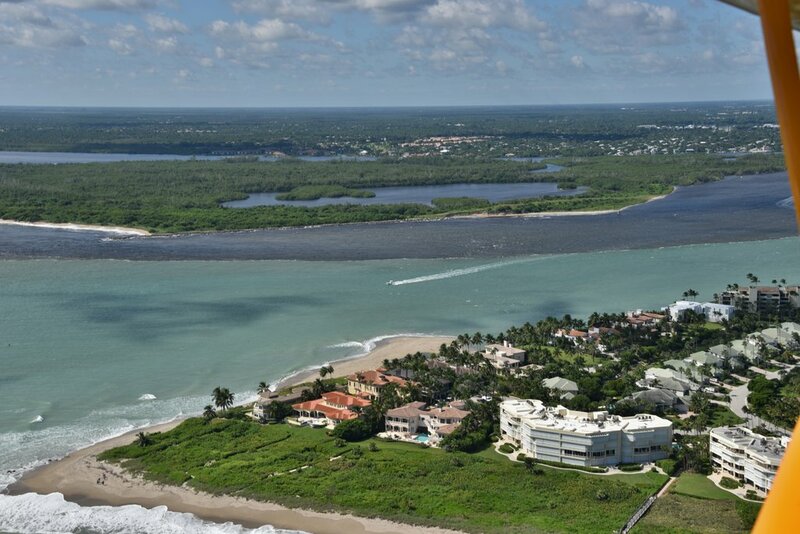 I would still like to get a bank in Stuart to sponsor a “Lake O. Level Screen,” next to the temperatures….like they do in Clewiston. 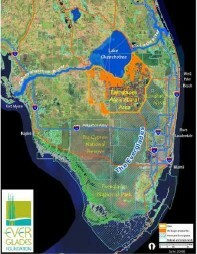 Like Clewiston, the lake affects our lives and livelihoods along the St Lucie River/Indian River Lagoon on an everyday level—– whether we can “see” it or not. 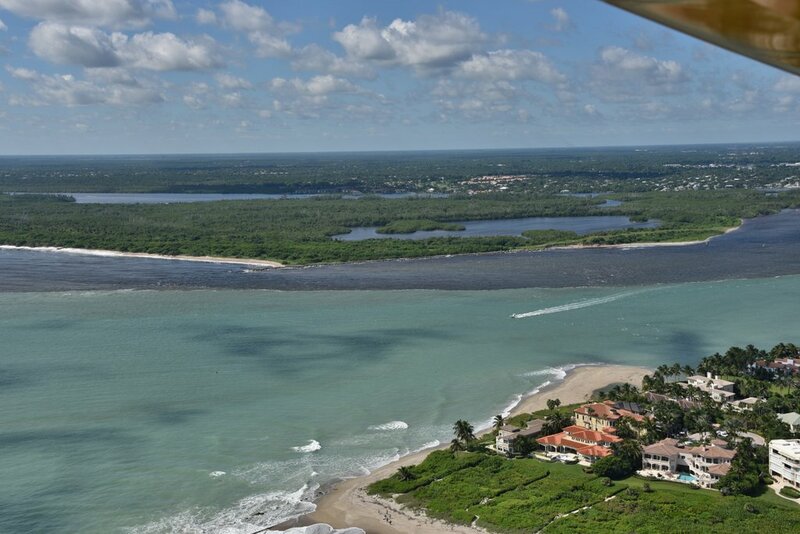 Thank you Dr Scott Kuhns for the quality aerial photographs! Let’s keep documenting, learning, advocating, and affecting change.